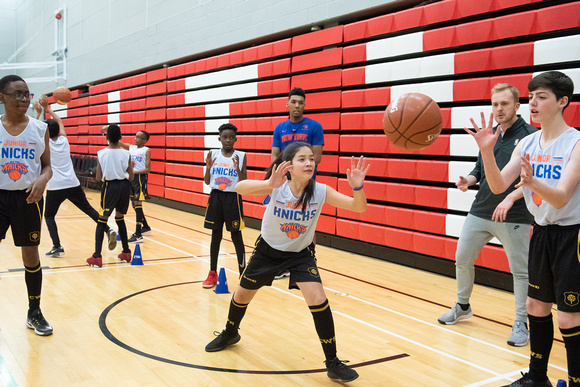 • A basketball clinic with the New York Knicks for 60 students from three Newham schools – Brampton Manor Academy, Rokeby School and St. Bonaventure’s – where students that participate in the Jr. NBA Basketball England League got a once-in-a-lifetime opportunity to practice their shooting, passing and dribbling skills directly with the pros. • An MSG Next Generation panel at Lister Community School, where staff members from the Knicks and MSG shared insights into the exciting opportunities that come with careers in the sports and entertainment industries. 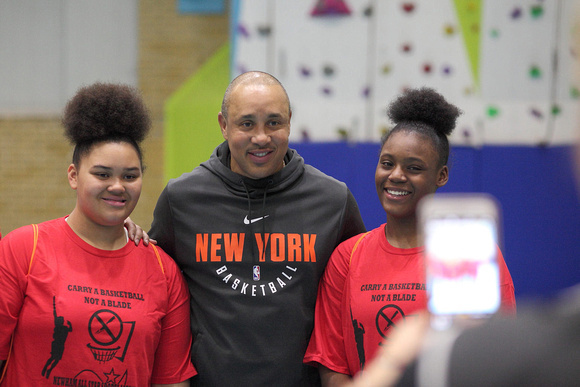 • A coaching session with Knicks legend, John Starks, at the Sarah Bonnell School in Newham with Newham All Star Sports Academy’s CABNAB (Carry A Basketball, Not A Blade), a local organisation that motivates and mentors students through basketball. At the event, Starks spoke on the importance of teamwork during his illustrious career, and also provided hands-on basketball tips. 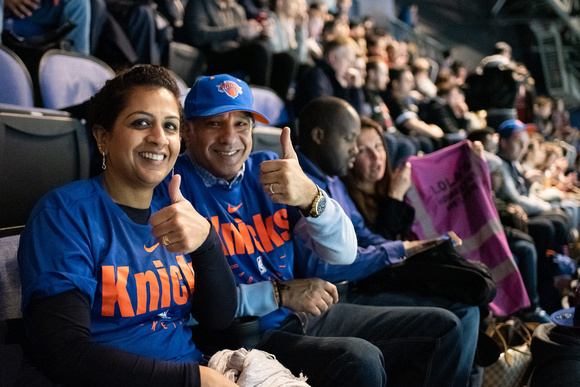 • A night of basketball, as 18 Newham schools and our Community Heroes winners were our guests at the NBA London Game 2019 to cheer on the Knicks.